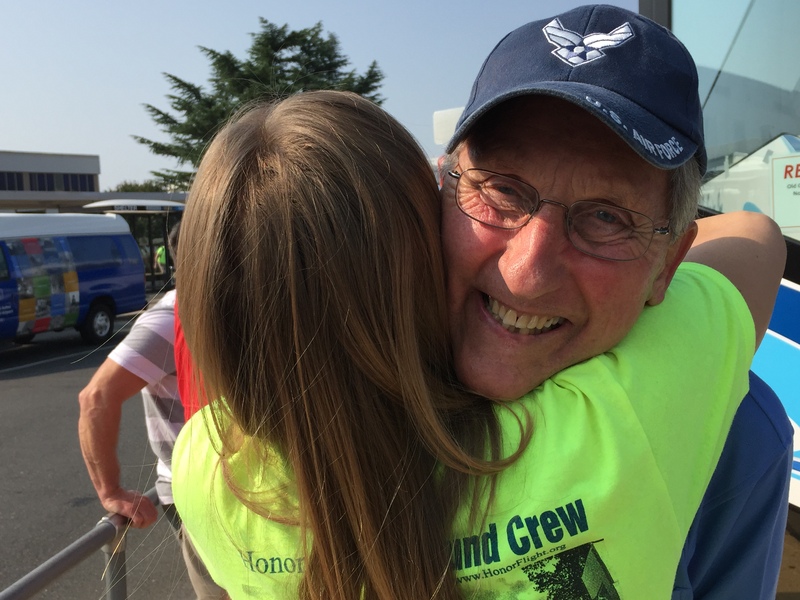 Our Veterans rave about the greetings that they get at the airport — for many, it is the highlight of their trip! We have the opportunity to set the stage for their entire Honor Flight trip with applause, laughter, music, and hugs. None of this could be possible without the help of all our AWESOME volunteers. 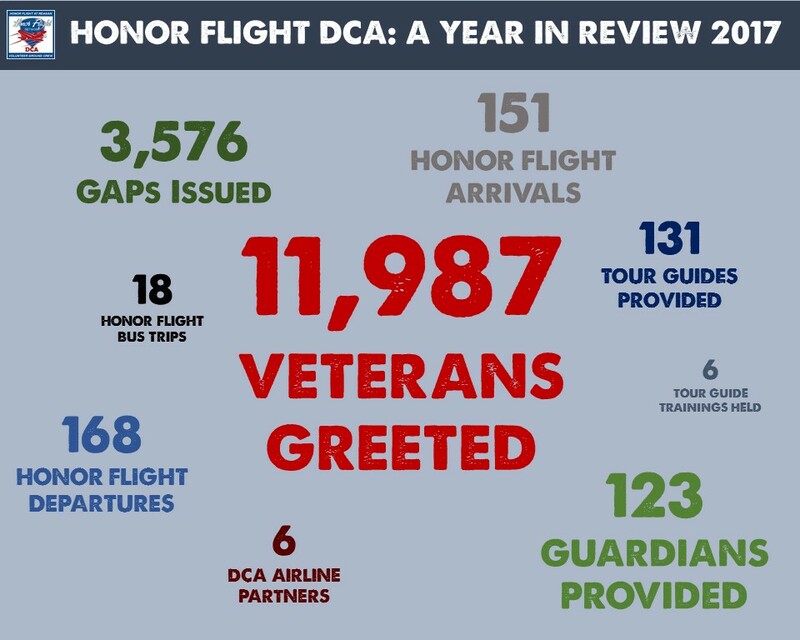 THANK YOU ALL for an absolutely incredible 2017 DCA Honor Flight season!! We couldn’t provide these warm welcomes without you. Have a wonderful and relaxing off-season and we’ll see you all next spring!